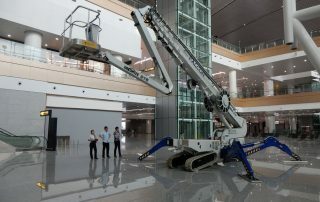 The Falcon Spider Atrium Crawler Lift FS 520C, the worlds tallest compact platform! 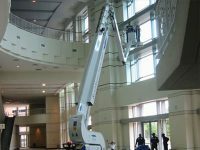 Compact design, flexibility, minimum weight, maximum reach and safety are qualities which users of The Falcon Spider Atrium Lift series appreciate in their daily work. 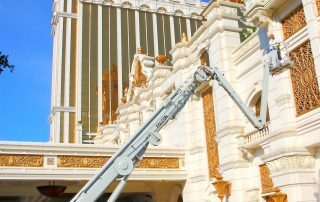 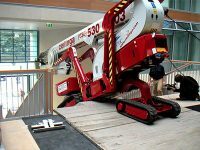 The Falcon Spider Atrium Crawler Lift FS 520C is an original Falcon Spider Lift with market leading features. 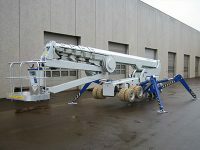 This Falcon Spider Atrium Crawler Lift FS 520C has a 52 m working height, and is available as a crawler model. 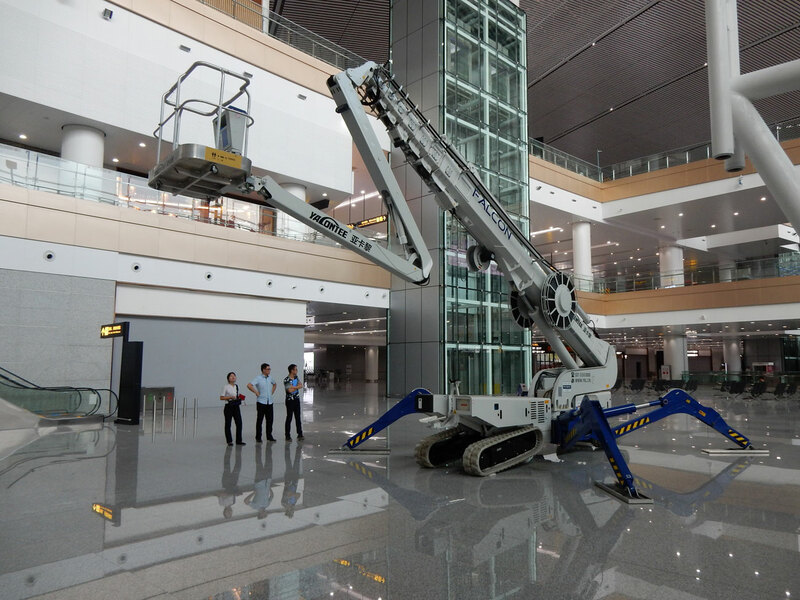 The Falcon Spider Atrium Crawler Lift FS 520C is capable of passing through a door opening a mere 1,20 m wide and 2,10 m high. 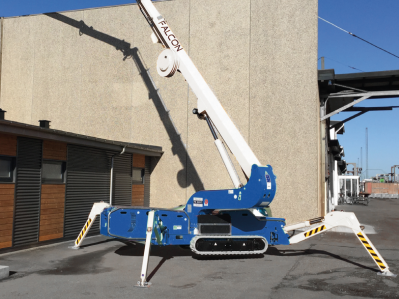 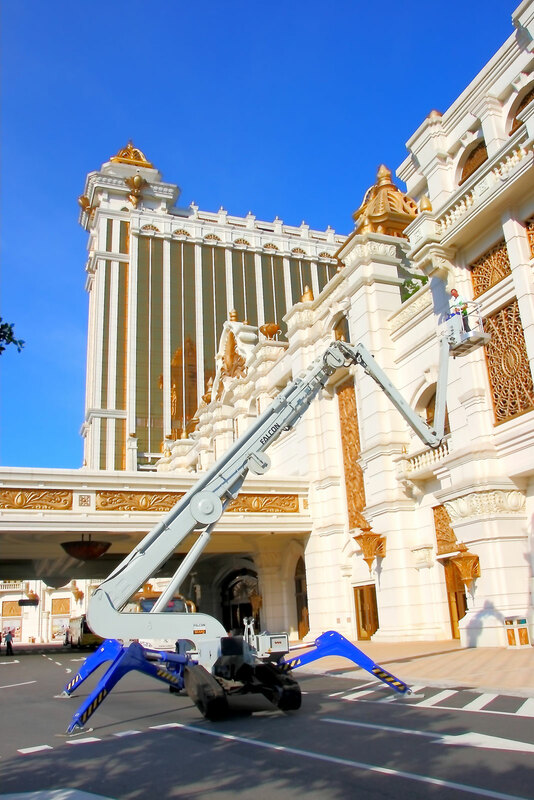 Further details on The Falcon Spider Atrium Crawler Lift FS 520C is mentioned on this page, and you can click to download the full datasheet on this page also. 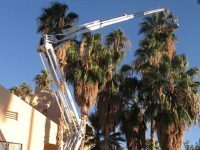 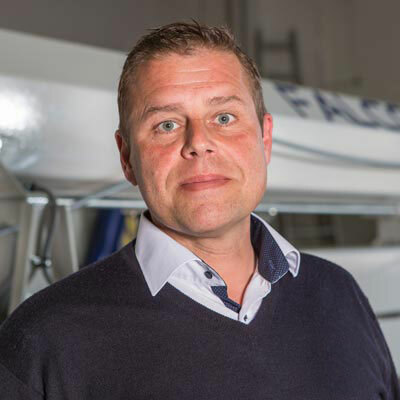 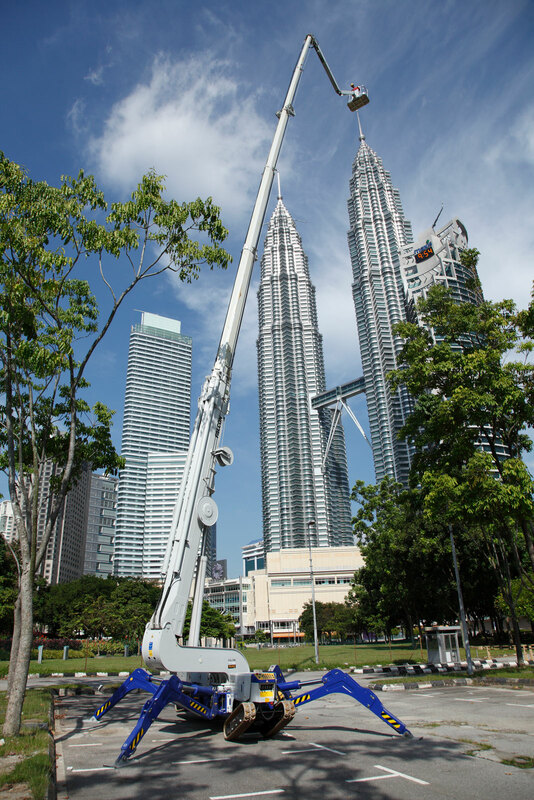 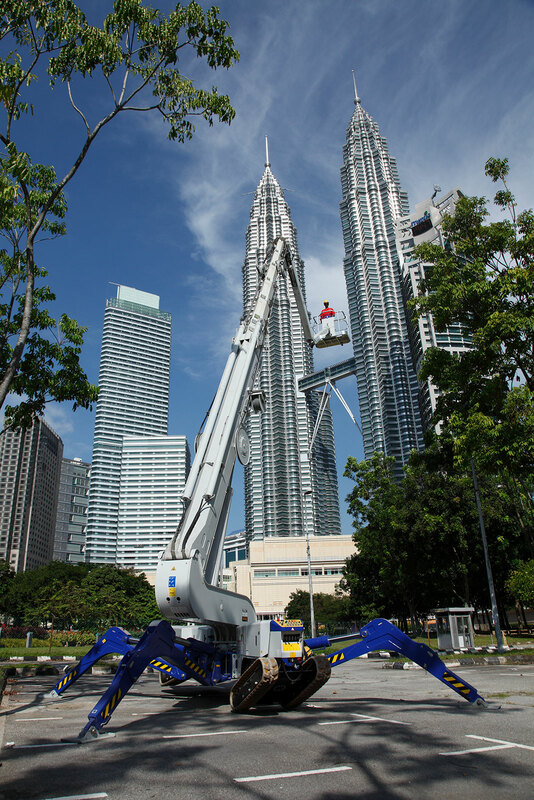 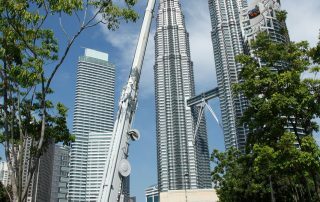 New features such as the double jib arm, automatic outrigger positioning, steering of outrigger and chassis from the basket, turns The Falcon Spider Atrium Lift series into a product category matching the demand of today in regards to speed, usability and safety. 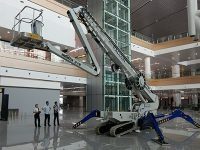 The crawler version in The Falcon Spider Atrium Lift series is recognised by its impressive driving properties, power and low ground pressure.